As a stepparent, you’ve become an important adult figure in your stepchild’s life. You provide for that person emotionally and physically. Not only that, but you’ve probably enjoyed many shared experiences together. Now, you might be considering adopting your stepchild. Here are 10 parts of the adoption process to keep in mind. Heartfelt videos flood the internet with stories of stepchildren presenting their stepparent with adoption papers. At least one person usually cries happy tears, and hugging is definitely involved. If you want to watch a couple of stories, click here and here. Obviously stepchild adoption is the best route for some families, but it’s not for everyone. Make sure that you, your spouse, your stepchild, and possibly other children are all emotionally ready for such a big step. Each family has different circumstances and dynamics, and taking the time to consider these factors can save you grief in the future. After all, adoption means that you are legally accepting responsibility for this child. Adoption is often seen as providing stability for the child and can help them to feel safe and wanted in their home and family. In some cases, the adoption will sever links to a parent that is negative toward the child. This can give the child a certain feeling of freedom. Legally binding a stepparent and child can also prevent separation in the case of the child’s birth parent passing away. It is also important to discuss the ramifications, both good and bad, with your child. With all the viral videos of stepchild proposals, your child can get caught in the romanticism of adoption and be unaware of the legalities of the procedure. If you’re unsure of whether stepparent adoption is right for you and your stepchild, you can visit this group to find out what others have done. You can also join in these related discussions. Will you need an attorney? It’s not required, but it can make the process a lot simpler. Take into consideration the fees and your confidence to perform all of the legal work by yourself. In the cases where the adoption is contested, hiring an attorney might be the safest route. If you’re not certain that you’ll need an attorney, it’s usually possible to get a free legal consultation to consider your options. If you decide to forgo an attorney and do it yourself, be sure to check your state’s laws for requirements on stepchild adoption. Find others who have gone through the process. It’s possible that they’ll help catch a step that you’ve missed or understand a procedure that you don’t. Before you can proceed with the adoption, your stepchild’s parent (not your spouse, but the parent corresponding to your role) needs to sign a consent or waiver of rights. This will terminate any parental rights he or she has to the child. If the parent is absent or seems reluctant to give up parental rights, don’t give up. Situations like these are easier to handle with an attorney, but know that it’s still possible to continue forward with the adoption. There are procedures that examine how involved the parent has been in the child’s life and whether the parent is still fit to retain their legal position as the child’s parent. Some states require a written consent, while others require a court appearance. Some states even require that the parent receive education on his or rights before being able to terminate them. Of course, in the case of abandonment, consent may be difficult to get. Whatever the case, it’s important that parents be given the chance to terminate their rights before you proceed. Unlawful consent will only cause problems, like a revoking of the adoption. Be considerate of feelings. No matter the circumstances, you’re more likely to get what you want if you’re respectful and kind. In some cases the consent will be difficult to get. Sometimes a parent’s rights can be terminated if the child has not been contacted for a period of time. Other cases will require legal counsel. If you cannot afford legal assistance, you may be eligible for free legal counsel for your child (read on to learn about ad litem). You may also need to get permission from the child. In most states if the child is older, usually starting between the ages of 10 and 14, the child must give his or her consent to the adoption. 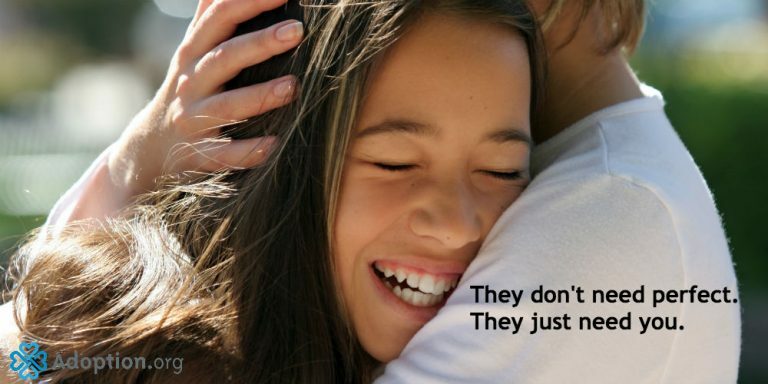 Contested Stepparent Adoption – It is possible to succeed! Filing a petition to adopt lets the court system know your intentions. You’ll need to contact your local family court or other court system that handles stepchild adoptions. You will want to verify with them if you can legally represent yourself (if you’re choosing that route) and where you can find the necessary stepchild adoption paperwork. The petition will usually include background information about you and your spouse. This is also the stage where you’ll complete and submit a criminal history background check. Even if consent to adopt is given and no one contests your right to adopt the child, you’ll still need to appear in court. You’ll state your desire to adopt your stepchild to a judge. Sometimes the judge may ask the child’s opinion, depending on his or her age. Once the adoption has been finalized, you will be listed on the amended birth certificate as the child’s parent. If you want to change your child’s last name, this would be the point to do so. Keep a copy of your child’s original birth certificate. You never know when you’ll need it in the future. Every state and situation has slightly different requirements for adoption proceedings. Here are a few details that you might want to watch out for. How long have you been married? Some states, like Alabama, require the stepparent and parent to be married for a year before the stepparent can apply for adoption. Most states will not require a home study, which is a way to make sure that your home is a suitable environment for children. Usually, the court trusts that your spouse has good judgment and has decided that you are a good, responsible person. If a home study is required, however, then you can go here to learn more about the process. Sometimes the judge will ask you to have a Guardian Ad Litem. This person will represent the child in court and make sure that everything is done with the best interests of the child. Stepchild adoption is by no means as expensive as regular adoption. The process is much shorter, and the child has likely already established a home life with his or her parents. Still, with the combined cost of legal fees and attorney, be prepared to spend between $1,000 and $3,000, respectively. How Much Should a Stepparent Adoption Cost? Don’t think that you have to go through the adoption process by yourself. There are a lot of resources and people out there just waiting to be helpful. You might be surprised by what you’ll find! First, tell your trusted family and friends about the adoption. No matter how smoothly the legal process might go, it can be an emotional time. Having people there to emotionally support the adoption can be a great benefit for everyone involved. Also, if any of these friends or family have adopted a stepchild, then reach out to them. See what they did. And even if you don’t personally know anyone who has adopted their stepchild, there are many people out there who have an online presence. Don’t be afraid to ask for help. You can join communities and forums like the ones here and here. Other people have written online guides and resources for stepchild adoption. Here’s one you can look at.